Is one of the most critically acclaimed Batman comics of all time getting made into an animated movie? 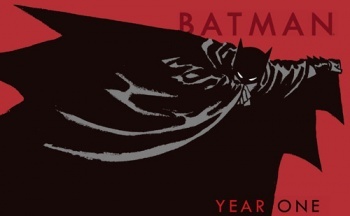 Rumors are circulating that Batman: Year One, the comic that shows Bruce Wayne's tentative first steps towards becoming the Dark Knight we all know and love, is being turned into an full-length animated feature. The rumor also puts Sam Liu in the director's chair, a veteran of multiple animated comic book movies and TV shows. Liu has quite a bit of Batman experience, having directed several episodes of The Batman TV show, as well as the Superman/Batman: Public Enemies and Batman vs. Dracula animated movies. Batman: Year One was written by Frank Miller - of Sin City and 300 fame - back in 1987 and has been reprinted multiple times since then. The story was in the process of being adapted into a live action movie by Darren Aronofsky in 2000, but was eventually shelved by the studio.